Optical spectra of Er-doped modified ZBLAN glasses are studied at room temperature. Radiative quantum yields of the I11∕24 and I13∕24 levels are estimated from the experimentally measured lifetimes and from the spontaneous emission probabilities calculated from the Judd–Ofelt theory. The spectra of upconversion (UC) luminescence excited with 1.53 μm cw Er fiber laser are investigated in a wide spectral domain [from the near-infrared (NIR) to UV]. Absolute UC efficiency (i.e., the ratio of UC luminescence power to the absorbed pump power) is experimentally measured; efficiency of up to 12.7% is obtained. A conclusion is made about perspectives of use of the studied glasses as upconverter material for solar cells of enhanced efficiency. Sh. F. Lim, R. Riehn, W. S. Ryu, N. Khanarian, Ch. Tung, D. Tank, and R. H. Austin, “In vivo and scanning electron microscopy imaging of upconverting nanophosphors in caenorhabditis elegans,” Nano Lett. 6, 169-174 (2006). A. Brenier, “Upconversion lasers,” Encyclopedia of Modern Optics, 508-519 (2005). J. F. Massicott, M. C. Brierley, R. Wyatt, S. T. Davey, and D. Szebesta, “Low threshold, diode pumped operation of a green, Er3+ doped fluoride fibre laser,” Electron. Lett. 29, 2119-2120 (1993). J. Y. Allain, M. Monerie, and H. Poignant, “Tunable green upconversion erbium fibre laser,” Electron. Lett. 28, 111-113 (1992). H. Tobben, “Room temperature CW fibre laser at 3.5 μm in Er3+ doped ZBLAN glass,” Electron. Lett. 28, 1361-1362 (1992). L. Aigouy, G. Tessier, M. Mortier, and B. Charlot, “Scanning thermal imaging of microelectronic circuits with a fluorescent nanoprobe,” Appl. Phys. Lett. 87, 184105 (2005). T. Trupke, M. A. Green, and P. Würfel, “Improving solar cell efficiencies by up-conversion of sub-band-gap light,” J. Appl. Phys. 92, 4117-4122 (2002). A. Shalav, B. S. Richards, and M. A. Green, “Luminescent layers for enhanced silicon solar cell performance: Up-conversion,” Sol. Energy Mater. Sol. Cells 91, 829-842 (2007). T. Trupke, A. Shalav, B. S. Richards, P. Würfel, and M. A. Green, “Efficiency enhancement of solar cells by luminescent up-conversion of sunlight,” Sol. Energy Mater. Sol. Cells 90, 3327-3338 (2006). S. Ivanova, F. Pellé, A. Tkachuk, M.-F. Joubert, Y. Guyot, and V. P. Gapontzev, “Upconversion luminescence dynamics of Er-doped fluoride crystals for optical converters,” J. Lumin. 128, 914-917 (2008). W. Shockley and H. J. Queisser, “Detailed balance limit of efficiency of p-n junction solar cells,” J. Appl. Phys. 32, 510-519 (1961). J. P. McDougall, D. B. Hollis, and J. P. Payne, “Spectroscopic properties of Er3+ in fluorozirconate, germanate, tellurite and phosphate glasses,” Phys. Chem. Glass 37, 73-75 (1996). F. Pellé, N. Gardant, and F. Auzel, “Effect of excited-state population density on nonradiative multiphonon relaxation rates of rare-earth ions,” J. Opt. Soc. Am. A 15, 667-679 (1998). 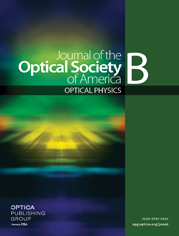 J. P. McDougall, D. B. Hollis, and J. P. Payne, “Judd-Ofelt parameters of rare earth ions in ZBLALi, ZBLAN and ZBLAK fluoride glasses,” Phys. Chem. Glass 35, 258-259 (1994). M. D. Shinn, W. A. Sibley, M. G. Drexhage, and R. N. Brown, “Optical transitions of Er3+ ions in fluorozirconate glass,” Phys. Rev. B 27, 6635-6648 (1983). S. R. Bullock, B. R. Reddy, P. Venkateswarlu, and S. K. Nash-Stevenson, and J. C. Fajardo, “Energy upconversion and spectroscopic studies of ZBLAN:Er3+,” Opt. Quantum Electron. 29, 83-92 (1997). Ch. Xiaobo, “Study of up-conversion luminescence of Er:ZBLAN excited by 1520 nm laser,” Opt. Commun. 242, 565-573 (2004). N. Bloembergen, “Solid state infrared quantum counters,” Phys. Rev. Lett. 2, 84-85 (1959). F. Auzel, C. R. Acad. Sci. (Paris) 262, 1016 (1966); F. Auzel,C. R. Acad. Sci. (Paris) 263, 819-821 (1966). V. V. Ovsyankin and P. P. Feofilov, “Cooperative sensitization of luminescence in crystals activated with rare earth ions,” Sov. Phys. JETP Lett. 4, 471-474 (1966). [Zh. Eksp. & Teor. Fiz. Pis'ma 4, 471-474 (1966)]. R. H. Page, K. I. Schaffers, P. A. Waide, J. B. Tassano, S. A. Payne, W. F. Krupke, and W. K. Bischel, “Upconversion-pumped luminescence efficiency of rare-earth-doped hosts sensitized with trivalent ytterbium,” J. Opt. Soc. Am. B 15, 996-1008 (1998). F. Auzel, “Upconversion and anti-Stokes processes with f and d ions in solids,” Chem. Rev. 104, 139-174 (2004), and references therein. D. Chen, Y. Wang, Y. Yu, P. Huang, and F. Weng, “Novel rare earth ions-doped oxyfluoride nano-composite with efficient upconversion white-light emission,” J. Solid State Chem. 181, 2763-2767 (2008). Zh. Jin, Q. Nie, T. Xu, Sh. Dai, X. Shen, and X. Zhang, “Optical transitions and upconversion luminescence of Er3+/Yb3+, codoped lead-zinc-tellurite oxide glass,” Mater. Chem. Phys. 104, 62-67 (2007). V. K. Rai, K. Kumar, and S. B. Rai, “Upconversion in Pr3+ doped tellurite glass,” Opt. Mater. 29, 873-878 (2007). Q. Nie, L. Lu, T. Xu, Sh. Dai, X. Shen, X. Liang, X. Zhang, and X. Zhang, “Upconversion luminescence of Er3+/Yb3+-codoped natrium-germanium-bismuth glasses,” J. Phys. Chem. Solids 67, 2345-2350 (2006). F. Auzel and D. Morin, French Patent B. F. N 96 13327, Procédé de fabrication de matériaux vitreux dopés et destinés à l'amplification optique ou laser, October 31, 1996. B. R. Judd, “Optical absorption intensities of rare-earth ions,” Phys. Rev. 127, 750-761 (1962). G. S. Ofelt, “Intensities of crystal spectra of rare-earth ions,” J. Chem. Phys. 37, 511-520 (1962). A. Kermaoui and F. Pellé, “Synthesis and infrared spectroscopic properties of Tm3+-doped phosphate glasses,” J. Alloys Compd. 469, 601-608 (2009). Y. D. Huang, M. Mortier, and F. Auzel, “Stark level analysis for Er3+ -doped ZBLAN glass,” Opt. Mater. 17, 501-511 (2001). D. L. Dexter and J. H. Schulman, “Theory of concentration quenching in inorganic phosphors,” J. Chem. Phys. 22, 1063-1070 (1954). J. F. Suyver, J. Grimm, K. W. Krämer, and H. U. Güdel, “Highly-efficient near-infrared to visible upconversion process in NaYF4/Er3+,Yb3+,” J. Lumin. 114, 53-59 (2005). S. E. Ivanova, F. Pellé, R. Esteban, M. Laroche, J. J. Greffet, S. Collin, J. L. Pelouard, and J. F. Guillemoles, “New concept for efficient upconverter materials,” presented at the Journées Annuelles de la Société Française de Métallurgie et de Matériaux, Paris, France, 3-6 June 2008; Conference program, abstract I-3-27. S. E. Ivanova, A. M. Tkachuk, F. Pellé, M.-F. Joubert, Y. Guyot, and V. P. Gapontzev, “Energy transfer in RE-doped double fluoride crystals for diode pumped upconversion lasers,” presented at the 13th International Conference on Laser Optics, St. Petersburg, Russia, 23-28 June 2008, Technical program, p. ThR1-p64. F. Pellé, S. E. Ivanova, B. Viana, and A. M. Tkachuk, “Characterization of upconversion materials based on Er-Yb doped fluoride crystals,” presented at the 15th International Conference on Luminescence and Optical Spectroscopy of Condensed Matter (ICL 2008), Lyon, France, 7-11 July 2008, Book of Abstracts, We-P-060, p. 494. S. Ivanova, F. Pellé, B. Viana, and A. Tkachuk, “IR to VIS upconversion in Er and Yb doped low phonon energy crystals: spectroscopic study and absolute efficiency measurements,” presented at the 3rd EPS-QEOD EUROPHOTON Conference on Solid-State, Fiber and Waveguided Light Sources, Paris, France, 2-5 September 2008, Conference Digest, THp13, p.46, Technical Digest on CD-ROM. S. I. Ivanova, F. Pellé, R. Esteban, M. Laroche, J. J. Greffet, S. Collin, J. L. Pelouard, and J. F. Guillemoles, “Thin film concepts for photon addition materials,” presented at the 23rd European Photovoltaic Solar Energy Conference and Exhibition, Valence, Spain, 1-5 September 2008, Conference program, abstract 1DV.2.56. Z. Pan, S. H. Morgan, K. Dyer, A. Ueda, and H. Liu, “Host-dependent optical transitions of Er3+ ions in lead-germanate and lead-tellurium-germanate glasses,” J. Appl. Phys. 79, 8906-8913 (1996). R. S. Quimby, M. G. Drexhage, and M. J. Suscavage, “Efficient frequency up-conversion via energy transfer in fluoride glasses,” Electron. Lett. 23, 32-34 (1987). F. Vetrone, J.-C. Boyer, J. A. Capobianco, A. Speghini, and M. Bettinelli, “980 nm excited upconversion in an Er-doped ZnO-TeO2 glass,” Appl. Phys. Lett. 80, 1752-1754 (2002). Fig. 1 Experimental setup for absolute UC efficiency measurements. (a) Sample is brought as close as possible to the fiber termination and attached to a metallic sample holder. (b) Schematic of experimental setup. Luminescence excitation source: cw pig-tailed Er fiber laser, λ exc = 1.532 μ m , pump power = 75 mW (stabilized, real-time control provided by integrated splitter and photodiode); a single-mode fiber with a core diameter 8 μ m . Integrating sphere: Avasphere; sphere diameter 5 cm , sample port diameter 1 cm , knife-edge sphere covered with Spectralon™. IR-UV-VIS spectrometer: AVASpec-1024TEC thermo-electric-cooled CCD fiber-optic spectrometer ( 75 mm focal length). UC luminescence signal arrives on the end-face of an optical fiber in such a way that only diffused reflected luminescence is collected. Fig. 2 Room-temperature absorption spectra of Er-doped ZBLAN glass (sample Z18Er5%) in the (a) IR and (b) UV-VIS spectral domains. Absorption bands correspond to transition from the ground state I 15 ∕ 2 4 to the excited states listed in the figures. Fig. 3 Luminescence spectra of Er-doped ZBLAN glasses, (a, c) sample Z17Er2% and (b, d) sample Z18Er5%. Note that in (c, d) the photon flux of the UC luminescence bands in the interval of 11000 – 27000 cm − 1 (3- and 4-photon processes) is multiplied by a factor of 20, and the photon flux of the luminescence band at ∼ 6500 cm − 1 (1 photon process) is multiplied by (c) a factor of 0.2 and (d) 0.5. Excitation: wavelength is shown by an arrow. Excitation power is 75 mW . Identification of transitions corresponding to the luminescence bands is shown in the figures. Fig. 4 Energy-levels scheme of Er 3 + ion. (a) Mechanisms of population of excited Er levels. Absorption of pump radiation ( λ exc = 1532 nm ): ground-state absorption (GSA) and excited-state absorptions (ESA1–ESA3) indicated by upward arrows; multiphonon nonradiative relaxations ( MPNR 1 and MPNR 2 ) indicated by waved arrows; energy transfers ( UC 1 – UC 4 ); and radiative transitions indicated by downward arrows. Numbers near arrows denoting radiative transitions are wavelengths of luminescence in nanometers. (b) Losses of absorbed pump energy. Upward arrows, GSA and ESA; waved arrows, nonradiative relaxation providing thermalization of Stark sublevels of each multiplet and introducing losses; downward arrow, luminescence ( LUM ) .